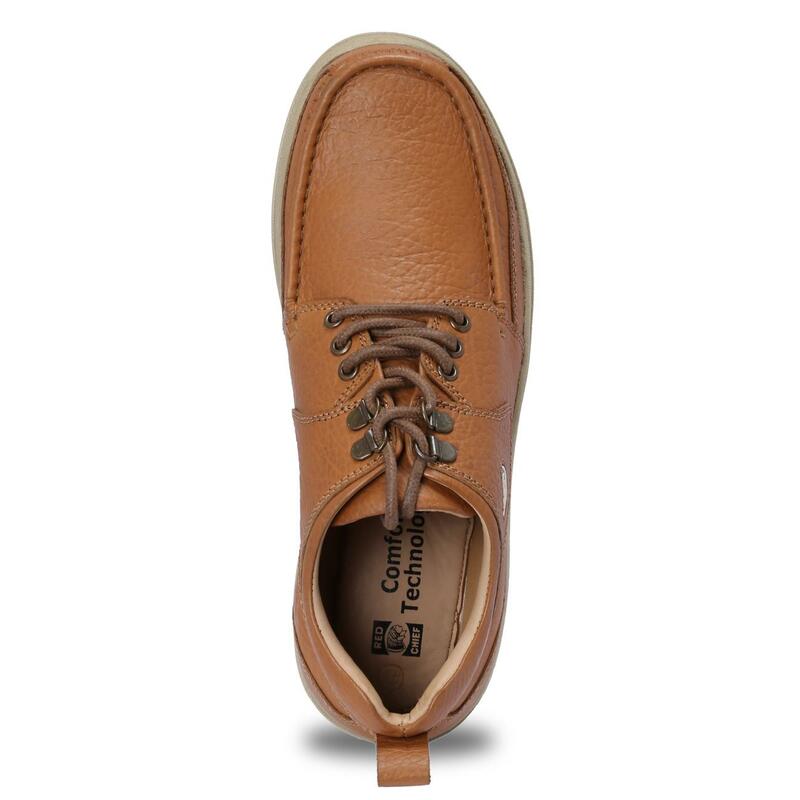 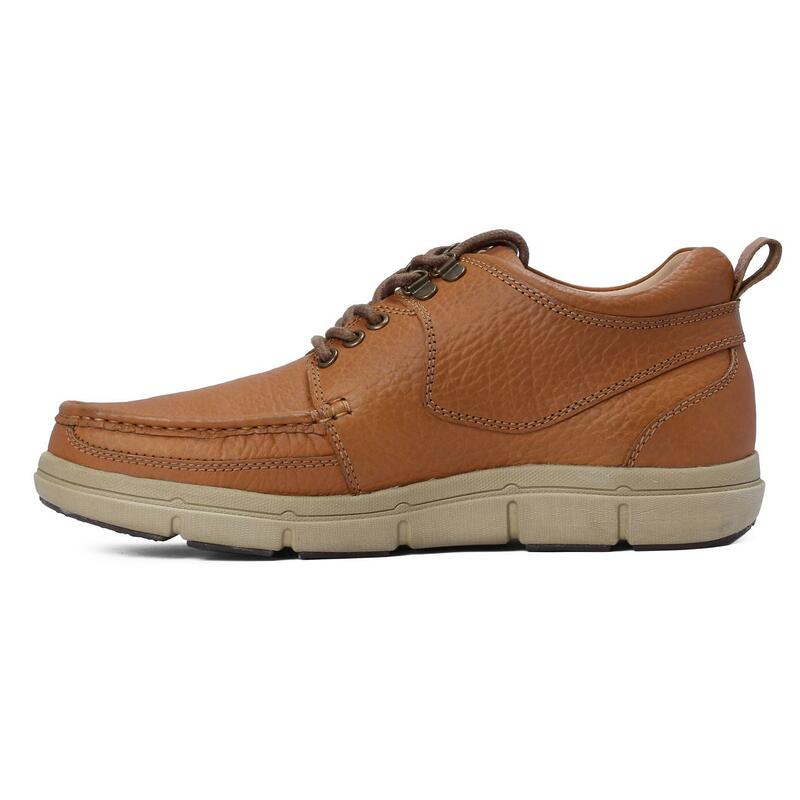 Displaying a striking low-ankle silhouette, these tan casual shoes by Red Chief epitomise expert craftsmanship. 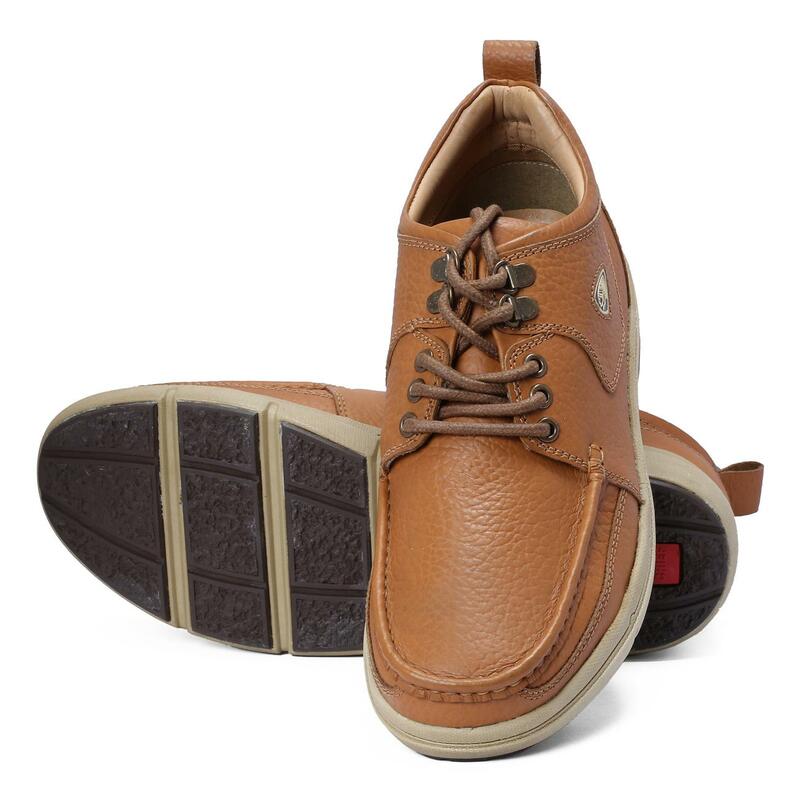 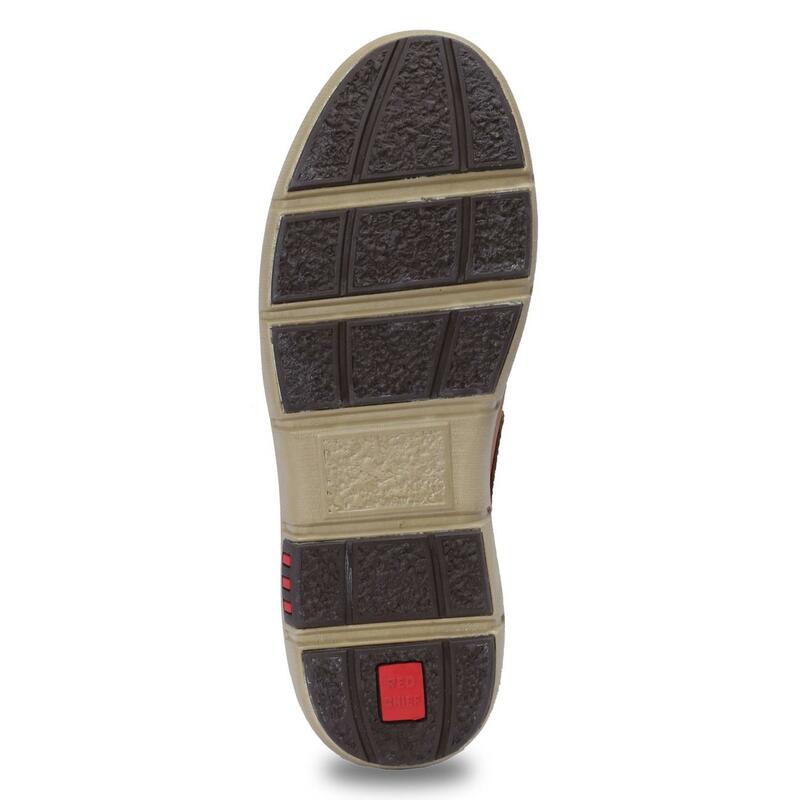 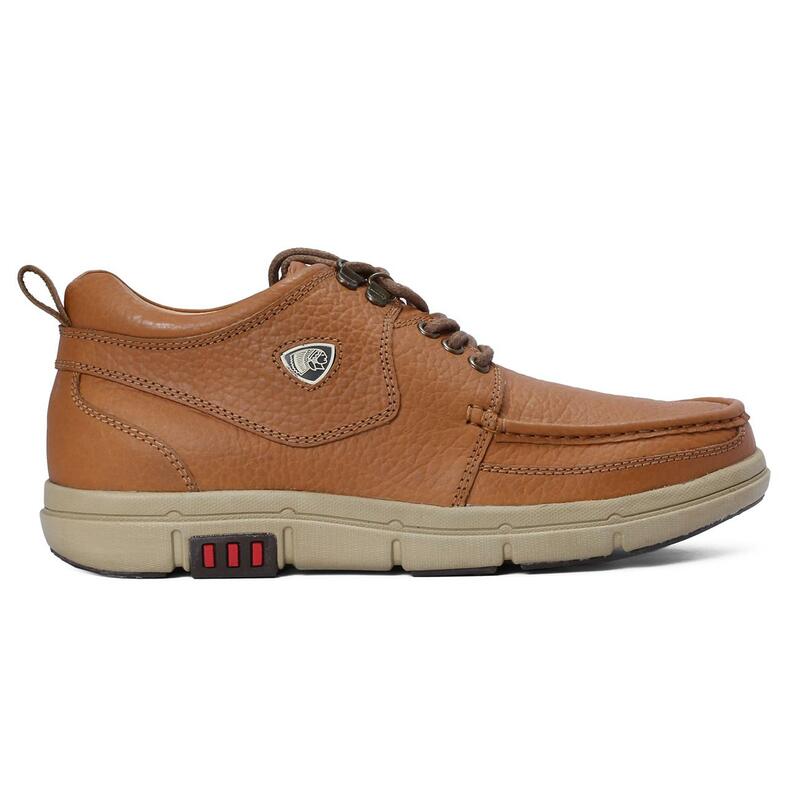 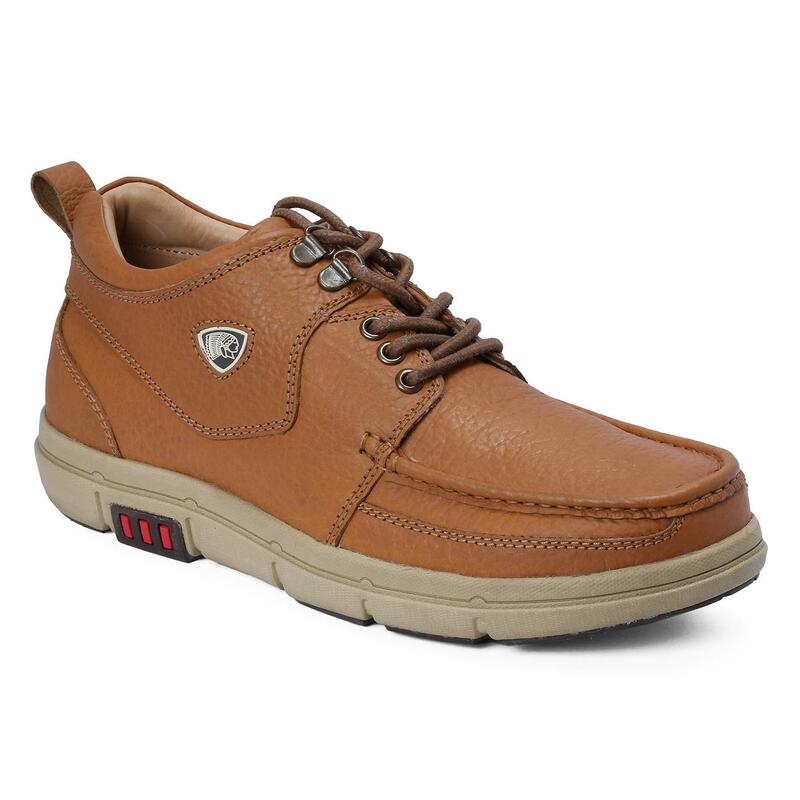 Featuring a rugged nubuck leather upper, these lace-ups have a cushioned footbed for impact resistance. 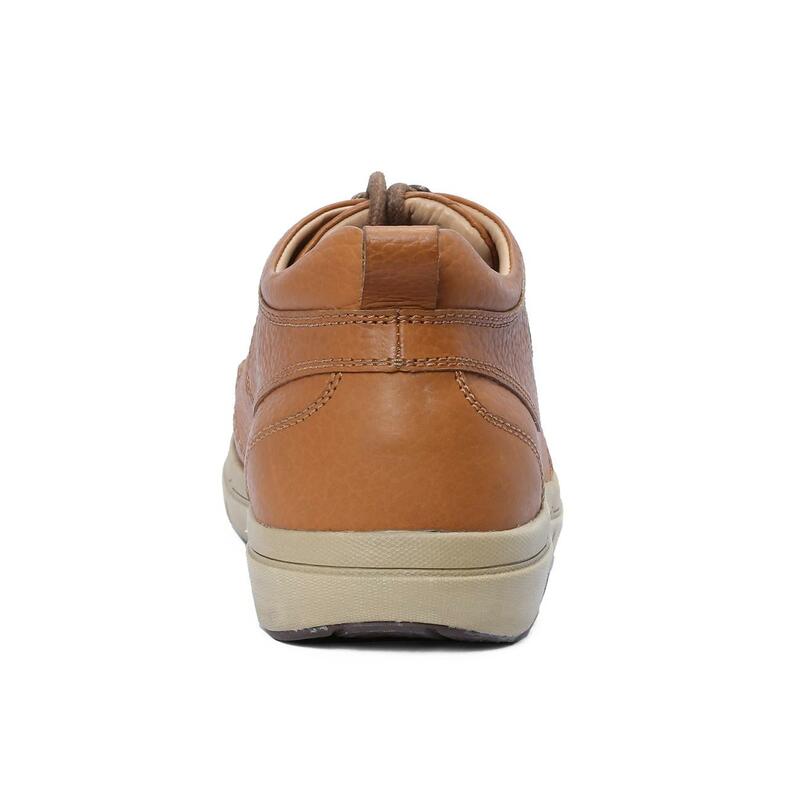 The phylon sole promises durability and slip resistance. 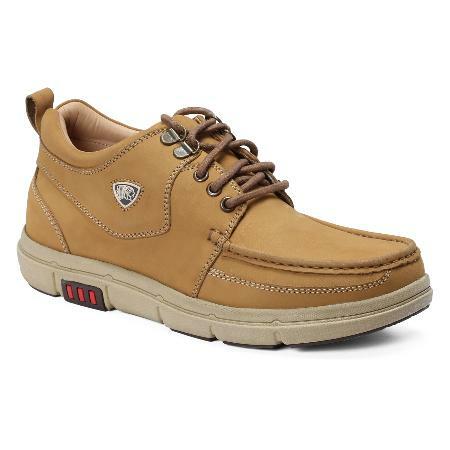 These shoes will go well with jeans.